US Internet Service Provider Verizon is risking the wrath of the American public by once again seeking to undermine online privacy for US citizens. 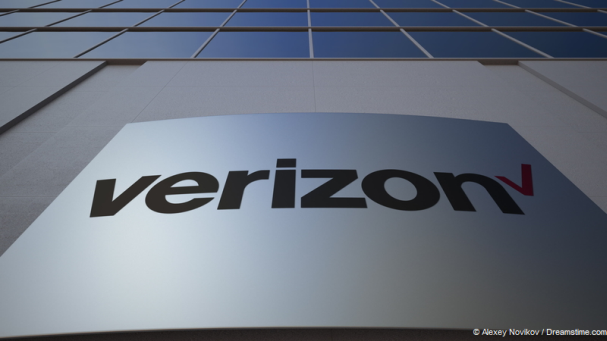 Verizon has asked the Federal Communications Commission (FCC) to take steps to pre-empt any efforts by individual US States to replace the online privacy and net neutrality laws, with new legislation at state level. Readers will recall that since the election of Donald Trump as US President, the FCC now has a Republican majority and is chaired by former Verizon lawyer Ajit Pai. Whilst Pai’s links to Verizon are of course purely coincidental, he has already passed a number of regulation changes which have benefitted his former employers. Under Pai’s leadership, the FCC has already rolled back online privacy laws which required ISPs to obtain consent from users before being allowed to sell their private data to third parties. He is also in the process of undoing crucial net neutrality laws, which prevent ISPs from discriminating against different websites based on how much they have paid. These changes have been met with anger by many internet users and experts and have seen an inevitable surge in VPN use, as American’s seek to secure themselves online. Dozens of US States have also taken action to counter the FCC’s moves by passing their own online privacy laws at state level. Needless to say, ISPs such as Verizon are opposed to such measures and, in a White Paper submitted to the FCC Secretary, have gone to the effort of pointing out that the FCC has the power to override these laws too. The White Paper appears to essentially be Verizon doing the FCC’s work for them, explaining how and why they can do more to help the ISPs maximise their profits at the expense of user privacy. But it actually puts Ajit Pai in a tricky position. It would be easy to assume that he would now willingly jump through hoops for his former employer. But in fact, he has a history of opposing the FCC taking preemptive steps to override state law. Back in 2015, the FCC voted to block laws passed in the states of North Carolina and Tennessee, which prevented state ISPs from expanding outside their regions. He argued strongly that the FCC didn’t have the legal authority to do this. And eventually the Federal Courts agreed with him and the FCC vote was thrown out. The authority that the FCC was trying to use then was Section 706 of the Telecommunications Act. Coincidentally, this is the very same authority that Verizon cites in its White Paper. Verizon is clearly aware that this law could be problematic, so have kindly identified two other possible legal justifications for the FCC to take preemptive action, namely Sections 153 and 303 of the Communications Act. But neither mention preemptive actions specifically. So, the White Paper actually puts Pai in a very difficult position. His instinct will undoubtedly be to try and disrupt state legislation to allow ISPs free reign to do as they please. But, doing this risks accusation of massive hypocrisy, more questions about his links to Verizon, and inevitable legal challenges. Interestingly, efforts in California to pass online privacy laws actually failed recently as a result of efforts from Verizon and other lobbyists to block them. They do not explain precisely how it would impair services to customers, but it is clear how it would hit their profit margins. They also cite other such bills around the country, plus proposed net neutrality bills which are expected to be filled if, as expected, the FCC undoes that legislation too. One thing that Verizon does get right is the effect of multiple pieces of different legislation at state level. “Allowing every State and locality to chart its own course for regulating broadband is a recipe for disaster,” they conclude. That is true, but if the FCC and Ajit Pai were doing their job properly, such legislation would not be necessary. The current situation is also hugely disruptive for US Internet users. Their online privacy and expectations of net neutrality remain up in the air. It is therefore inevitable that more and more will be turning to VPNs to protect themselves. A reliable VPN such as IPVanish or ExpressVPN encrypts all of your online data to stop ISPs being able to either see or sell it on. It also allows you to connect to a server located outside the USA, should the absence of net neutrality change the way the internet works at home. It is not beyond imagination that Ajit Pai might consider trying to take the USA down the route of Russia and China in banning VPNs if enough people are using them. But would be an extreme move and one he is only likely to consider if Verizon asks him to.